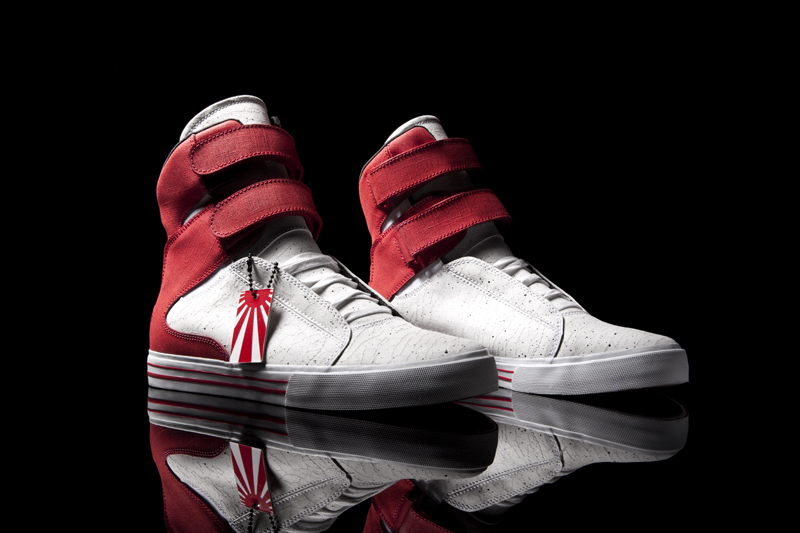 Supra Footwear salutes Japan's influence on sneaker culture with a Society Quickstrike. Paying homage to Japan and their enormous impact on the sneaker culture globally, Supra Footwear is releasing a “Rising Sun” colorway of their highly popular high-cut Society Model. 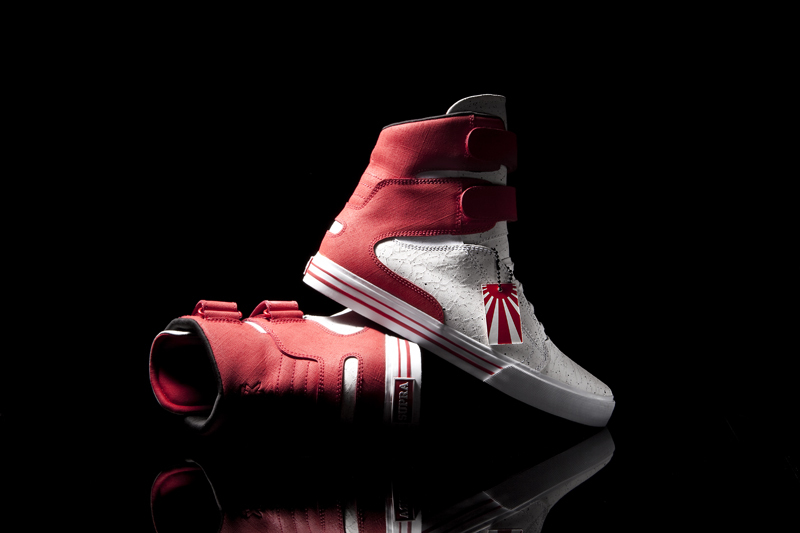 The shoe features a mostly white base, with red canvas working its way up the heel, ankle and Velcro cross straps. 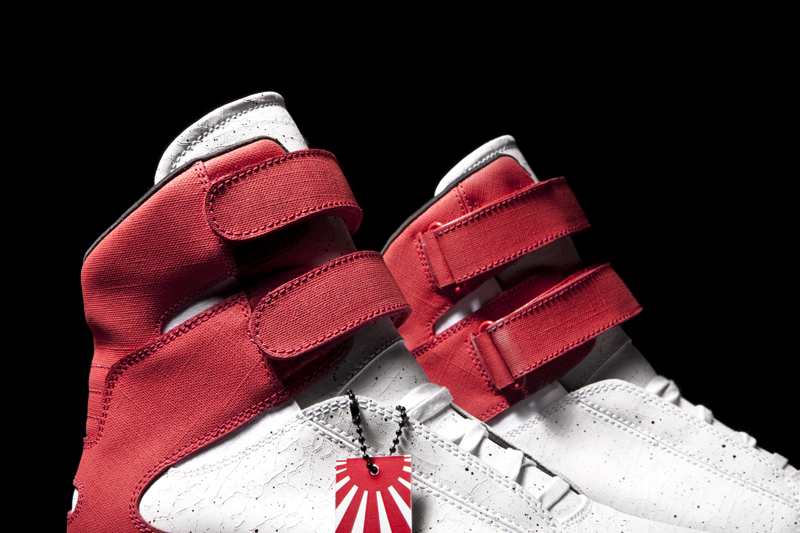 A Japanese flag hangtag drops from the eyestay, while a red-striped vulcanized sole completes the look. The “Rising” Sun Society is available now at authorized Supra Dealers.